90cm Wide. 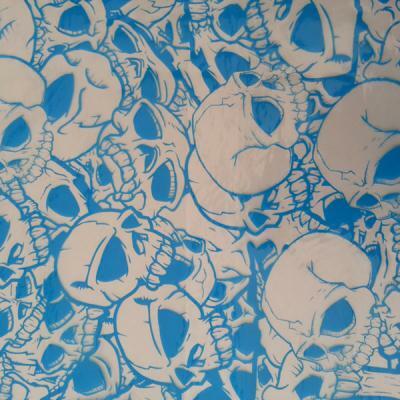 Blue Skull Outlines on a clear film . Any base colour, even blue as long as it's not the same shade.